AMAZING NEWS ...CABIN CREW NEXT PLEASE GUY'S. 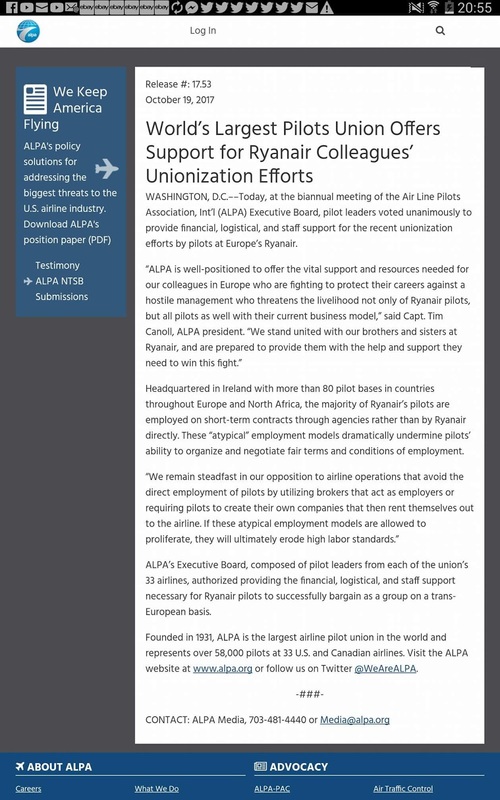 World’s Largest Pilots Union Offers Support for Ryanair Colleagues’ Unionization Efforts. CABIN WARNING...CREW AT RYANAIR...THIS IS YOUR VOICE....HAHN CREWLINK IS A SCAM...RYANAIR EUROPE'S GREATEST TRAINING ROBBERS...YOUNG PEOPLE ARE ABUSED BY RYANAIR, The GOVERNMENT MUST ACT'' NOW''. RYANAIR CABIN CREW ''Probationary'' CONTRACT SCAM...DALMAC IN Rush...WORKFORCE INTERNATIONAL In RUSH SCAMMING CONTRACT....YOUNG STUDENTS BEWARE, IF YOU ARE TERMINATED IT COULD EFFECT YOUR CAREER IN AVIATION....60% OF Probationary Cabin Crew at RYANAIR Are Terminated In the First 12 Months...Anne McCrudden Rush Community Council...MICHAEL O'LEARY'S Helper...NO HEALTH CARE ''GUARANTEED''. GOOGLE DELETE OVER 100 POSTS FROM RYANAIRDONTCARECREW BLOG...WHY ????? 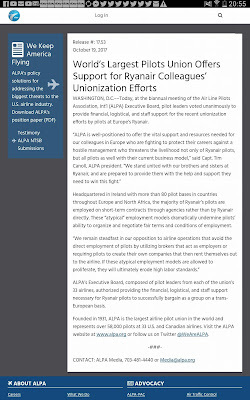 WHY DID RYANAIRDONTCARE CAMPAIGN SET UP A CAMPAIGN OF PROTEST AGAINST EUROPE'S GREATEST EXPLOITERS OF YOUNG CABIN CREW.